It was the year when nothing were safe anymore. 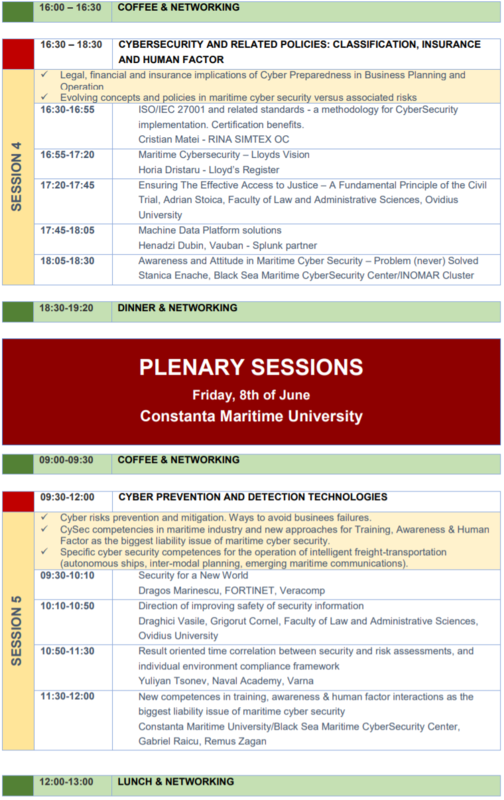 There were lots of CyberSecurity incidents with loses greater than the cost of few modern ships, a hundreds of millions of sensitive data accounts were disclosed and even the most hidden cyber tools were exposed. 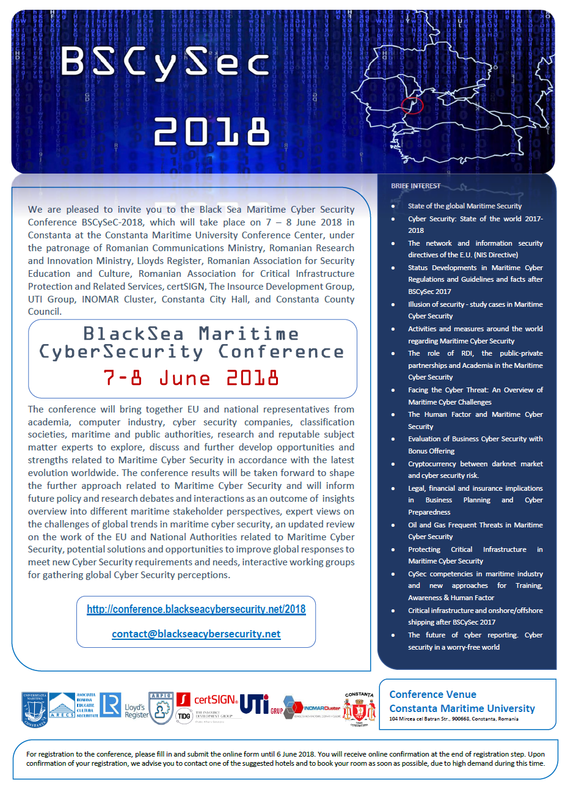 In a matter of months, after BSCySec 2017, there were a lot of events to be discussed at BSCySec 2018 edition in order to increase the awareness degree and to raise the educational level in Maritime CyberSecurity. As a paradox of this society, the future of navigation and of related infrastructure will be based on high degree of automation – despite cyberisks- with several autonomous ships scheduled for 2019. Moreover, the blue efficiency paradigm will be based on increased role of IT and AI tools onboard ships. 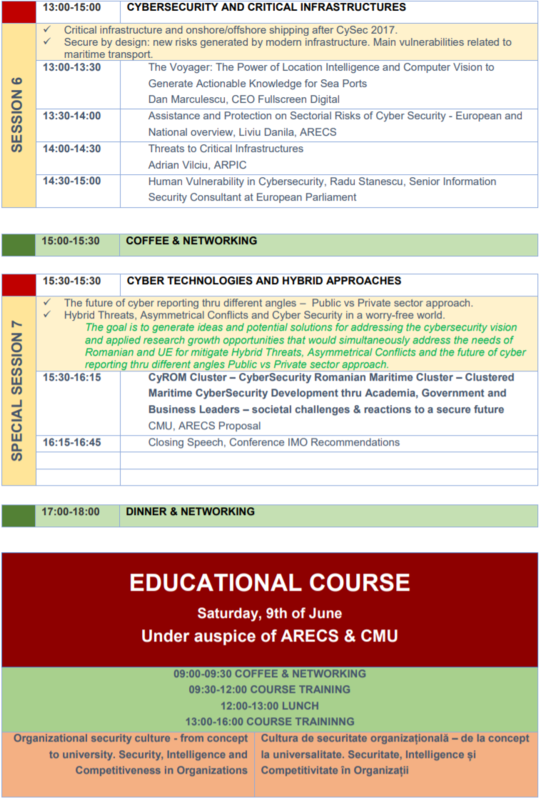 Over the years, the future of technical developments based on sustainable growdth will become the main challenge in terms of Cyber Security and Cyber Resiliences. Assuring a safer IT & AI cyber world might be the biggest challenge in the history of mankind, but it might also be the last, unless we learn how to reduce risks. 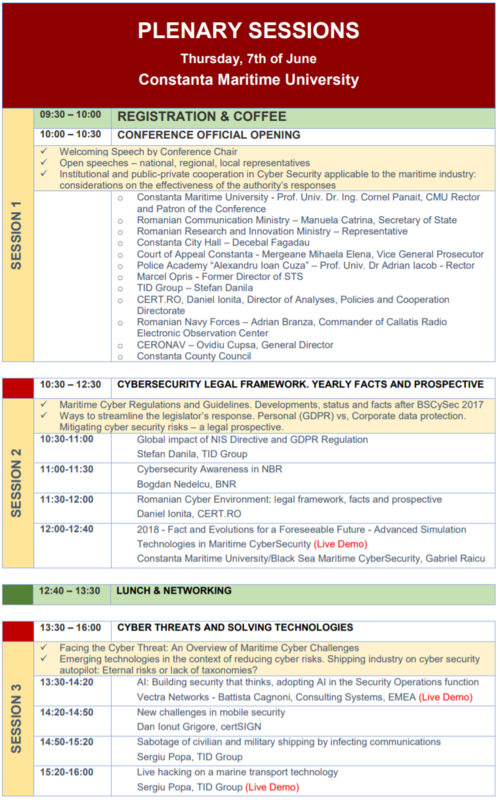 As we stated in the beginning of the first BSCySec Conference, the 2017 Edition, the most provocative matter in term of Maritime Cybersecurity is the speed of events, a speed which is not proprietary to maritime field. We need to adapt, then. The world is changing faster than ever and CyberSecurity seems to be the main catalyst. Have you ever imagined in such brief time this kind of tremendous challenge? In a matter of months global geopolitics becomes fuzzy, EU is evolving impredictable and we are all on the same stage as main actors. The intrigue is the same as usual in human history, but the step is in quantum leap terms and the time is running out.